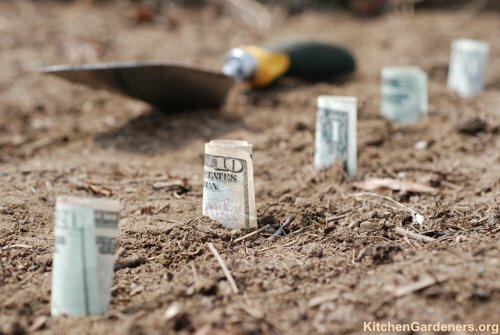 What’s a home garden worth? With the global economy spiraling downward and Mother Nature preparing to reach upward, it’s a good question to ask and a good time to ask it. There isn’t one right answer, of course, but I’ll give you mine: $2149.15. Last year, my wife Jacqueline suggested to me that we calculate the total value of the produce coming out of our garden over the course of the growing season. Initially, the thought of doing that was about as appealing to me as a recreational root canal. I remember replying something like: “OK, so let me get this right: in addition to raising three busy boys, managing two careers, volunteering in a school garden, and growing most of our own produce, you’re proposing that we weigh every item that comes out of our garden, write it down in a log book, and spend a few leisurely evenings doing math?” Jacqueline, an economics major in college and a native French speaker, answered with a simple “oui” and so the project began. There are things we didn’t include like the wild dandelion greens which we reaped but did not sow, the six or so carving pumpkins which we ultimately fed to our compost pile, and the countless snacks of strawberries, beans, peas, and tomatoes that never made it as far as our kitchen scale. There were also things we forgot to weigh like several pounds of grapes which turned into about 12 jars of jam. As with any growing season, there were hits and misses. The heaviest and most valuable crop was our tomatoes (158 lb/72 kg for a total value of $524). In terms of misses, our apple tree decided to take the year off and very few of our onions started from seed made it requiring me to buy onion plants. On the cost side, we had $130 for seeds and supplies, $12 for a soil test, and exceptional costs of $100 for some locally-made organic compost we bought for our “This Lawn is Your Lawn” frontyard garden (normally, we meet most of our soil fertility needs through our own composting). I don’t have a scientific calculation for water costs, but we don’t need to water much and, when we do, water is relatively cheap in Maine. Also, I mulch my beds pretty heavily to keep moisture in and weeds down. Let’s say $40 in water. So, if we consider that our out-of-pocket costs were $282 and the total value generated was $2431, that means we had a return on investment of 862%. The cost of our labor is not included because we enjoy gardening and the physical work involved. If I am to include my labor costs, I feel I should also include the gym membership fees, country club dues, or doctors’ bills I didn’t have. Clearly, this data is just for one family (of five), one yard (.3 acre), one garden (roughly 1600 square feet), and one climate (Maine, zone 5b/6), but it gives you some sense of what’s possible. 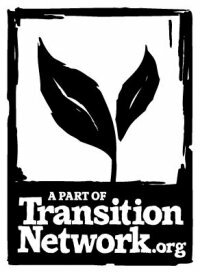 If you consider that there are about 90 million households in the US that have some sort of yard, factor in the thousands of new community and school gardens we could be planting, this really could add up. Our savings allowed us to do different things including investing in some weatherization work for our house last fall that is making us a greener household in another way. Some might ask what this would mean for farmers to have more people growing their own food. The local farmers I know welcome it because they correctly believe that the more people discover what fresh, real food tastes like, the more they’ll want to taste. In our case, part of our savings helped us to buy better quality, sustainably-raised meat from a local CSA farmer. In the end, it might come down to the language we use. Instead of saying “Honey, I’m going out to the garden to turn the compost pile”, perhaps we should say “Honey, I’m going outside to do a ‘green job’ and work on our ‘organic stimulus package.’” I bet that would get the attention of a few economists, if not a few psychologists!